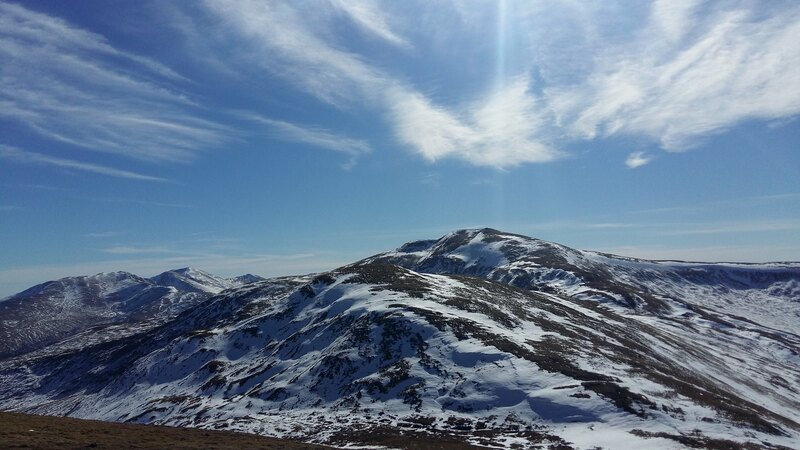 Four Munros on a stunning March day! Well, it took us a year to get back there, but it was certainly worth the wait! We picked Saturday 25th March 2017 for the return, almost a year to the day, and we couldn't have picked a better day. I know there were lots of people out there that day, from the photos I've seen since (and the cars parked along the road! ), but as we started at 11.15am, we were one of the last groups out there and we didn't see many people. 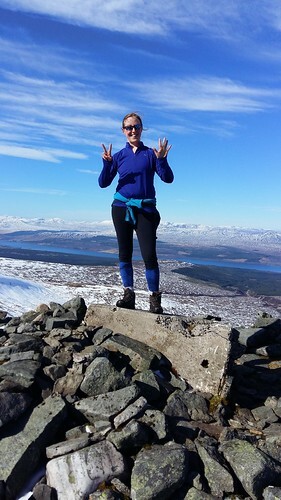 I had been apprehensive about this walk for over a year now; concerned about whether I was fit enough to bag 4 Munros, scared of something going wrong (I'd had a wee fright in the mist on Meall Ghaordaidh this time last year! 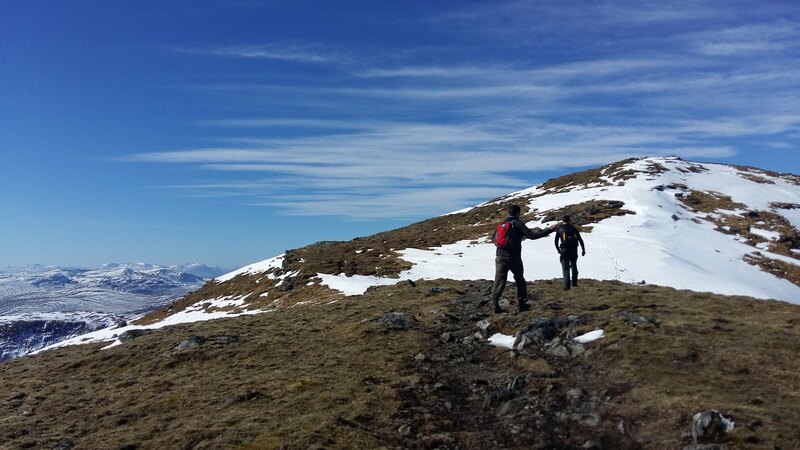 ), worried about how much snow was up there, concerned about the navigation of the day, frightful of holding Colin and Callum (the 3rd of our wee group) back. Basically I was worrying about everything (I think fear often stops me from getting out there). 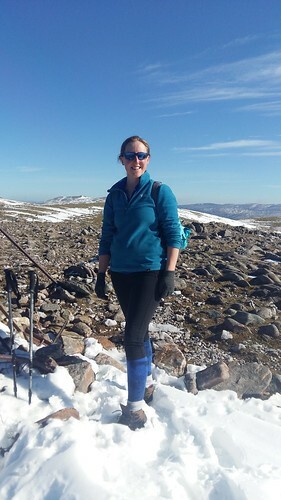 My concerns about my fitness stayed with me all the way up Carn Gorm (and, to be honest, for the rest of the day), however my concerns about the weather lessened slightly (actually I was worried now about it being too warm! I had sweated the suncream off my face via my eyes!! ), and the snow didn't seem too bad either. 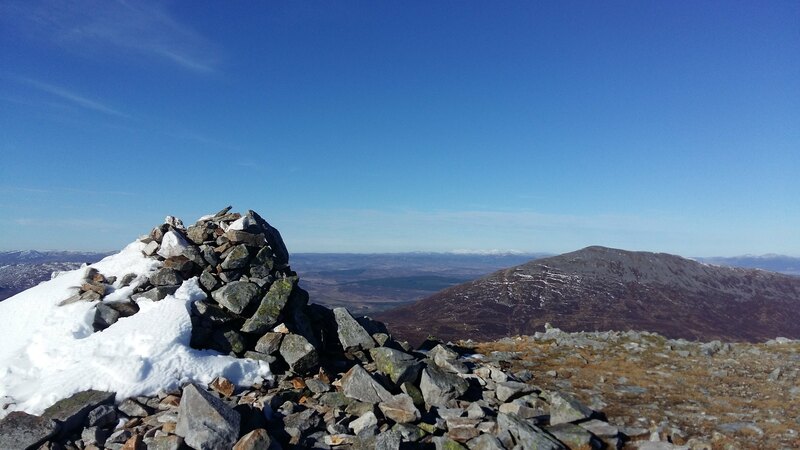 It was a fair slog up Carn Gorm, it took us over 2 hours to reach the summit. 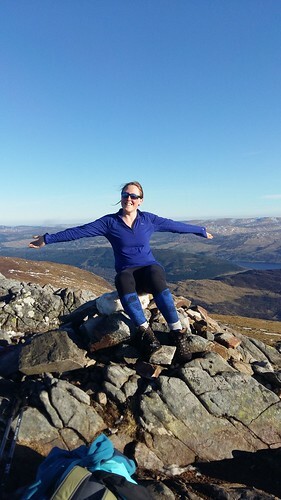 Getting to the top of Munro no 25 was an incredible achievement for me, I was absolutely delighted! 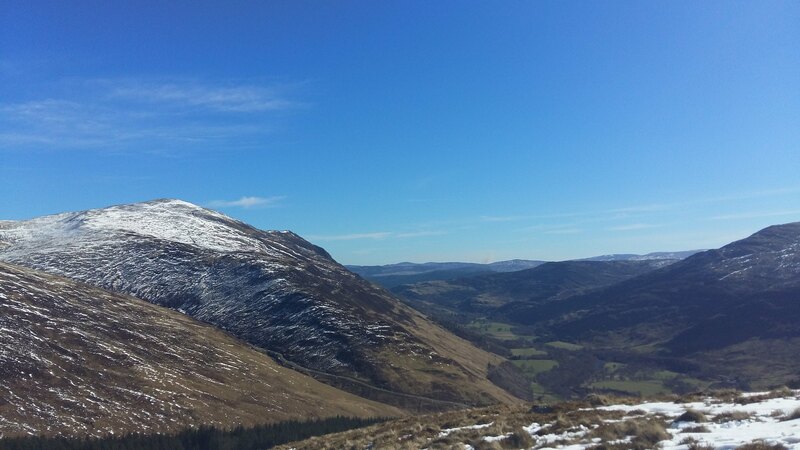 Colin and I kept saying how glad we were to have waited a year for this, we couldn't believe how stunning the day was - views for miles, sun, snow, and pretty much the hills to ourselves! 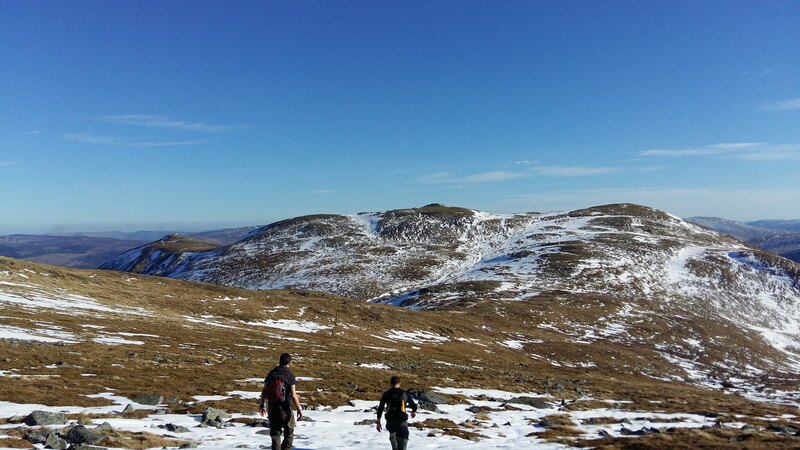 My next concern was how much we'd have to descend before heading up to Meall Garbh, number 2 of the day, and number 26 for me. 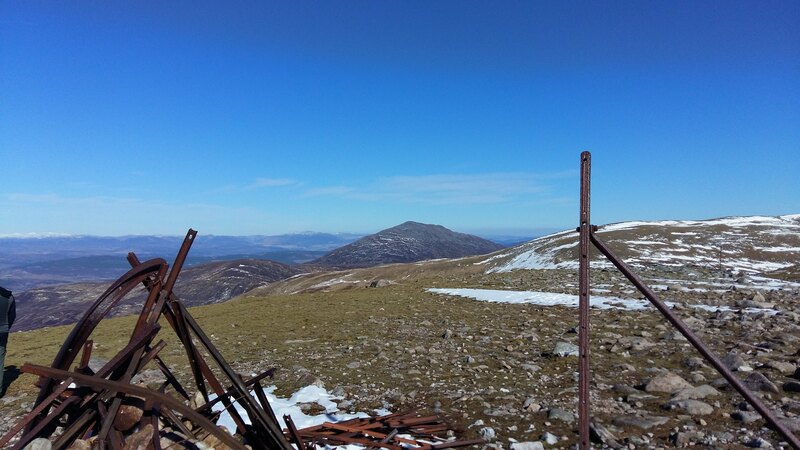 Thankfully it wasn't too bad, and the iron-post-laden summit seemed to come quickly, around 40 minutes after leaving Carn Gorm. I found the walk between 2 and 3 the second biggest slog of the day after the Carn Gorm ascent. It just seemed sooo long. 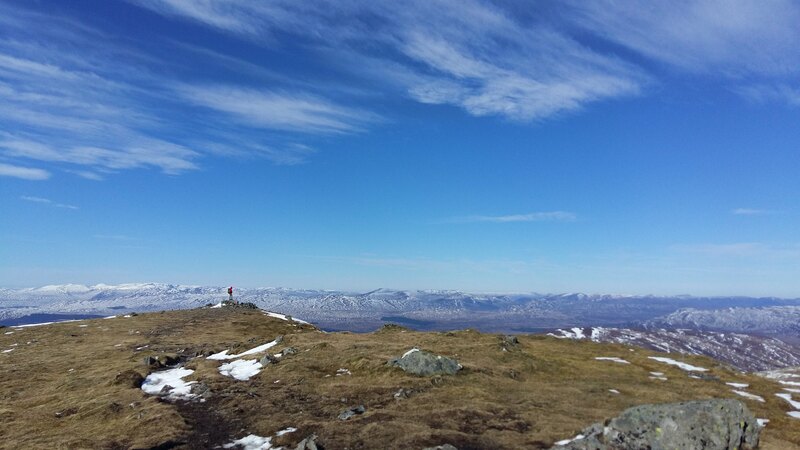 In reality it was about an hour, and so at 3.45pm we were at the summit of Carn Mairg. 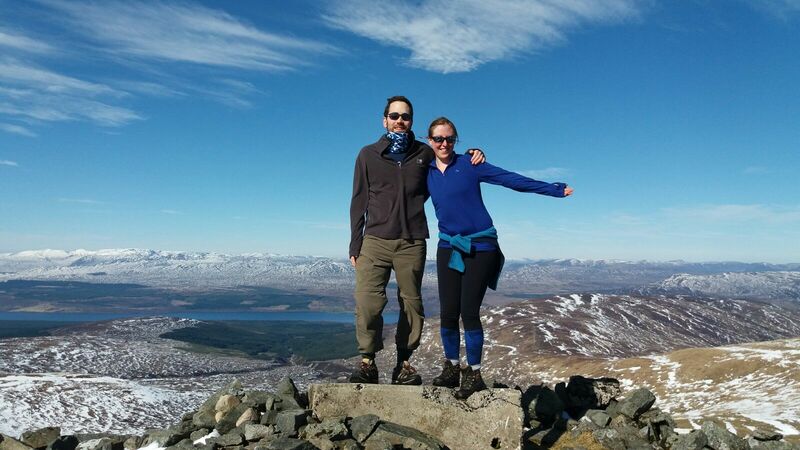 Munro number 27 in the bag! Mentally the ascent up number 4 was probably the hardest part of the day for me. Physically it was pretty tough too. 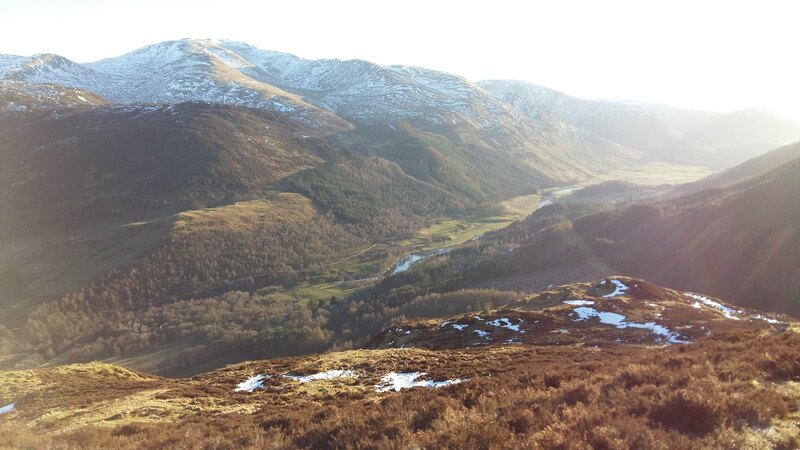 But at 4.35pm we made it to Creag Mhor, and I finally reached 28! Annnd was exhausted. 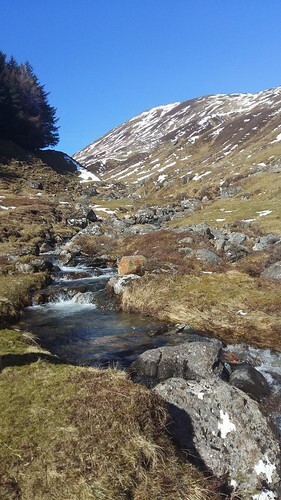 The trek back to the car was hard going - it was really boggy/snowy/wet underfoot and being so tired meant concentration levels were slipping. I was back in the (horrible) felled plantation before I finally tripped, and fell on my right knee. However all body parts have been sore ever since so what's a scrapped knee added into the mix!! We reached the car around 6pm, just shy of the 7 hour mark. I think there was only one car left by that point, so assume they weren't far behind us. 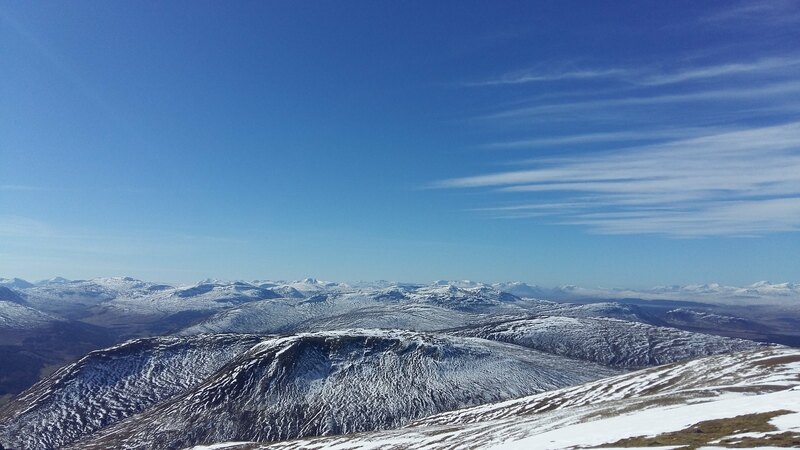 We were chuffed to bits to have bagged 4 Munros in one day, particularly a day like this! 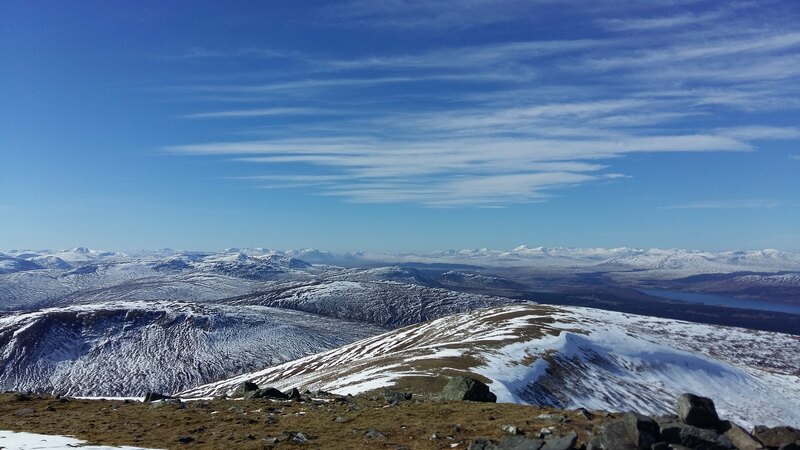 It was without a doubt the best day I have ever had on the hills, the best views, the best weather, the biggest achievement. I made it home to Stow at 8.30pm, 13 hours after I'd left. I thought I'd be exhausted but I was absolutely buzzing (might have been the red bull on the way home though ) Of course I crashed pretty quickly, and still haven't recovered! My quads hate me, and I in turn hate stairs, pavements or slight gradients. In fact any movement is a struggle! But I am so pleased to have managed these 4, and I hope it will not be a year to my next Munro. 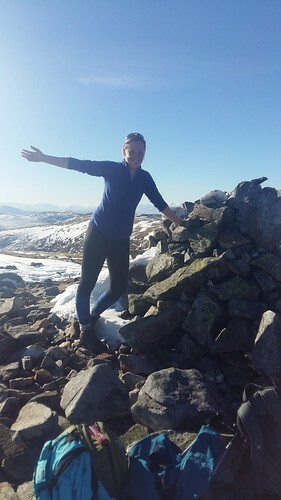 I'm now wondering if I can get to 31 hills before the next birthday (in two weeks time), and am plotting my next hills (shhh don't tell the quads!!). Last edited by anxious-ambler on Mon Mar 27, 2017 11:38 pm, edited 1 time in total. 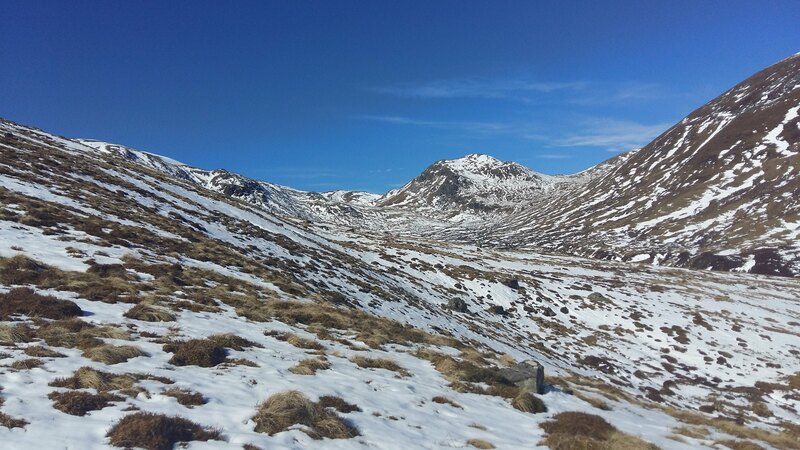 Re: Four Munros on a stunning March day! Hi, thanks for this, hopefully it is sorted now?! First time I've just Flickr & I'm not very techi so struggled getting it right. Spent a couple of hours on it so hoping it is fine now...honestly I think the Munros were easier than this report!! Remember seeing 2 large herds of deer on the way up to Carn Gorm. After that it wasn't a great day for views. Also remember that boulder field on the descent from the 3rd.